We have been trading since 2002 and have gained many high profile contracts throughout the UK and our client base continues to grow rapidly. We are a highly motivated company which we adhere to with a passion. Client satisfaction drives us to be the best. All our installers are fully trained to the highest industry standards and our commitment to health safety is paramount. 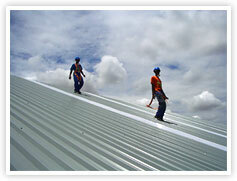 Weatherfix are fully insured up to £5,000,000 public liability.